What is the Flip-over Strategy? 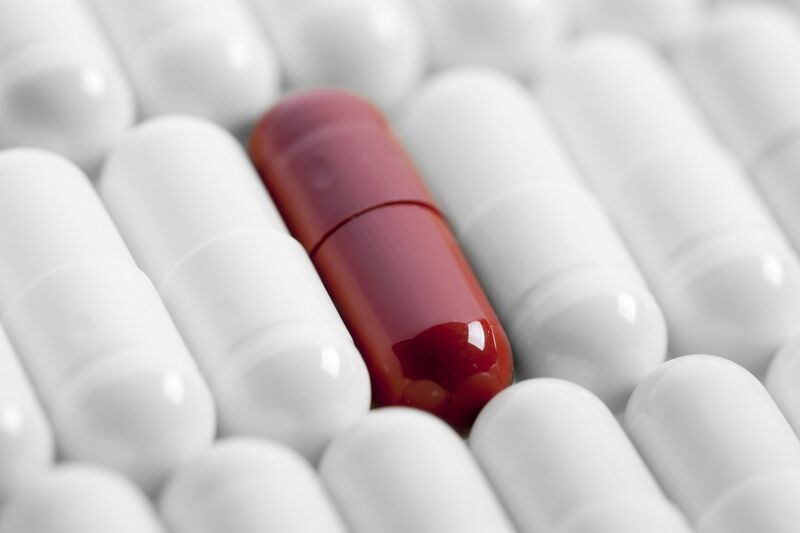 The flip-over strategy is a poison pillPoison PillThe Poison Pill is a structural maneuver designed to thwart attempted takeovers, where the target company seeks to make itself less desirable to potential acquirers. This can be accomplished by selling cheaper shares to existing shareholders, thereby diluting the potential equity an acquirer receives strategy used by companies to help protect themselves from a hostile takeover. With the flip-over strategy, shareholdersShareholderA shareholder can be a person, company, or organization that holds stock(s) in a given company. A shareholder must own a minimum of one share in a company’s stock or mutual fund to make them a partial owner. of the target company have the opportunity to purchase shares of the acquiring company – the company looking to engage a hostile takeoverHostile TakeoverA hostile takeover, in mergers and acquisitions (M&A), is the acquisition of a target company by another company (referred to as the acquirer) by going directly to the target company’s shareholders, either by making a tender offer or through a proxy vote. The difference between a hostile and a friendly – at a significantly discounted price. The strategy works as a hostile takeover defense because it threatens to drastically dilute and devalue the stock of the company looking to take over the target. Learn more about acquisitions and the financial analysis behind them with CFI’s M&A Financial Modeling Course! The potential acquiring company has made a takeover bid, and the bid hasn’t been rejected outright. The acquiring company’s bylawsCompany BylawsCompany bylaws are the rules that govern how a company is run and one of the first items to be established by the board of directors at the time a company is started. Such bylaws are created usually after the Articles of Incorporation are submitted spell out provisions for shareholders within the targeted company to buy their shares at a discounted price in the event of a successful takeover. The right to buy shares at a substantial discount only takes effect if and when the hostile takeover is successful. At that point, the right of the shareholders of the target company to buy discounted shares of the acquirer is ‘flipped over’ (activated). The right to purchase shares at a discount may apply to either common stock or preferred stockPreferred SharesPreferred shares (preferred stock, preference shares) are the class of stock ownership in a corporation that has a priority claim on the company’s assets over common stock shares. The shares are more senior than common stock but are more junior relative to debt, such as bonds.. The deeply discounted share price of the acquiring company’s stock provides a strong incentive for the target company’s shareholders to exercise their purchase option. The larger the number of individuals who purchase the discounted shares of the acquiring company, and the more discounted shares they buy, the more diluted the acquiring company’s stock becomes. The dilution of the stock also puts downward pressure on the stock price since each share now represents a smaller percentage equityEquityIn finance, equity is the market value of the assets owned by shareholders after all debts have been paid off. In accounting, equity refers to the book interest in the company. The negative impact of a flip-over is frequently felt the hardest by the acquiring company’s existing shareholders. They do not have the option to buy the company’s stock at a discounted price. Instead, all they can do is sit and watch the value of their own shareholdings erode. The flip-over strategy is usually very effective because the prospect of seeing its stock severely diluted – and its existing shareholders made very unhappy – is so unappealing for the acquirer. The strategy is designed to force the acquiring company to offer better terms for the takeover or to scrap the takeover attempt altogether. In most cases, the flip-over strategy doesn’t stop the takeover completely. However, it typically leads to the acquiring company abandoning the idea of a hostile takeover in order to avoid triggering the flip-over provisions. Instead, the acquirer will likely approach the target company with a friendly takeover proposal, one with terms that constitute a far better deal for the target company. Corporate Finance Institute®’s Financial Modeling and Valuation Analyst (FMVA)™FMVA™ CertificationThe Financial Modeling & Valueation Analyst (FMVA)™ accreditation is a global standard for financial analysts that covers finance, accounting, financial modeling, valuation, budgeting, forecasting, presentations, and strategy. certification program teaches everything you will need to know about financial modeling and analysis to become a world-class financial analyst! The flip-over strategy is somewhat like a variant of another commonly-used poison pill strategy – the flip-in strategy. The flip-in strategy comes from a provision in the bylaws of the target company rather than the acquiring company. When a hostile takeover attempt is initiated, the flip-in strategy is automatically triggered. The flip-in strategy enables existing shareholders of the target company – but not the potential acquirer – to purchase additional shares of the target at a substantially discounted price. It is an extremely strong incentive for the company’s shareholders since they can buy new shares below the current market price and immediately sell them on the open market for a profit. The defense strategy usually results in a substantial dilution of the target company’s stock. It is typically an effective takeover deterrent because the dilution of the target’s stock means that the acquirer will need to purchase more shares before it can acquire a controlling interest in the target company. Poison pill strategies can be extremely effective defenses for a company facing a takeover. For takeover bids with terms that are arguably unfair to the target company, the flip-over strategy is particularly effective because it presses the acquiring company by decreasing the value of its own stock shares, aiming at the acquirer’s bottom line for leverage to gain better terms in a takeover situation.